Giant fuzzy pink mustaches are an iconic part of the Lyft ridesharing brand — but they've made it simple for local cab drivers to report Lyft drivers. It's nearly midnight in the vacant parking lot of the former CompUSA building on Division. Corey Marcoux waits, sitting in his 2004 Nissan Sentra. It's an ideal spot, he says. Close to the downtown bar scene, close to Gonzaga, and just far enough away from all the competing drivers. The smartphone suction-cupped to his windshield sounds an alert. A location, map and a name — "Chris" — pop up on the screen. Marcoux turns the ignition, hits the gas and he's off, heading downtown. He makes a call the moment he pulls into the parking lot of the vacant Globe Bar & Grille. "Chris, this is Corey, your Uber driver," he says. "How many of there are you?" When Chris Roof and two other passengers pile into the backseat, they find a tin Batman lunchbox stocked with goodies like Chili Cheese Fritos, Fruit Roll-Ups, and Scooby-Doo fruit snacks. They dig in. Not stuff you get in a typical taxi, but this isn't a taxi. This is Uber. "I want people to be happy," Marcoux says. "And another thing is, the majority of my customers are drunk. Very drunk. I'd rather something be going into their mouth than coming out of their mouth. I do not want them vomiting in my car." In the same way that Grindr and Tinder apps connect people with nearby spontaneous hookups, the rideshare app connects passengers with drivers. All users have to do is hit a few buttons on a smartphone app and the closest driver heads right for them. No calling dispatch or hailing a taxi required. Fares are calculated and charged automatically. Marcoux's passengers praise Uber vehicles' quick arrival time, cheaper cost, easy usability and personable drivers. "I've Ubered three times now tonight," says Roof. "I've Ubered in Seattle a couple of times too." Until he started driving for Uber this month — he heard about it from a friend — Marcoux was unemployed. It's been little over a week, and the 28-year-old says he's already given rides to a bank president, a college coach, a prostitute, some TV reporters and a whole lot of bar patrons — and gets 80 percent of each fare. Even when he's not working, past passengers will text him for rides. "If I'm not drunk or sleeping, give me a call, and I'll come get you on a whim," Marcoux says. Uber officially launched in Spokane on May 8. Two weeks earlier, a very similar service named Lyft rolled into town. Between the two, several dozen rideshare drivers are operating in the region, adding to tens of thousands nationwide. Yet the ride hasn't been smooth. Rideshare companies have been hit with lawsuits in San Francisco and Chicago, weathered regulatory attacks in D.C. and New York, and have faced off against a fervent opposition: taxi drivers. Bill Boomer, owner of Bill's Friendly Rides and spokesman for one of Spokane's taxi-owners associations, says very few things have united the local taxi industry like the advent of Lyft and Uber. Some local cabbies call the new vehicles "gypsy cabs," the derogatory name for unmarked, illegal, unlicensed taxis. "They're taking money out of [taxi drivers'] pockets that they support their families with," Boomer says. He says adding a new cab costs him about $2,000 in licensing, decals, registration, inspections and state compliance. City of Spokane codes require cabs and most other for-hire vehicles to prominently display special for-hire licenses, but Uber and Lyft drivers don't have those licenses. Boomer says that's illegal. Uber charges fares, while Lyft users pay "donations," but both rely on smartphone apps, not taxi meters. Uber's website brags that its service will be 28 percent cheaper than Spokane taxis after the promotional free rides end on May 22. "If I didn't have to pay all these fees, I could do it for a dollar a mile too," Boomer says. When he spotted a Lyft car recently — Lyft's signature fuzzy pink mustache sprawled across the grille — he started snapping photos with his phone. He says he and other Spokane taxi drivers have been sending license plate numbers and photos of Lyft and Uber cars to the City of Spokane and the Department of Licensing in Olympia. "They should be writing tickets for all the violations," Boomer says. In the meantime, he's pursued his own tactics. He bought domain names like SpokaneLyft.com and SpokaneUber.com and redirected them to his website. "They're circumventing the law by trying to use the Internet," Boomer says. "They want to play these little Internet games? I've got a very good computer guy." Spokane is new to the fight between taxi drivers and Uber drivers. But on the westside, it's been raging for more than a year. Under pressure from cab companies, the Seattle City Council voted in February to cap the number of drivers at each rideshare company at 150. But Uber and Lyft banded together to fight back, quickly gathering enough signatures to temporarily suspend the ordinance. "I think any time an industry begins to change there will always be some resistance," says Brooke Steger, general manager of Uber Seattle. Rideshare companies are only the latest innovation pitting the interests of upstarts against existing industries: The Spokane City Council is finalizing rules for food trucks, rules it's spent more than a year cooking up. It's currently focusing on how to treat homeowners who rent out their houses or apartment rooms to vacationers through the Airbnb website. Councilmembers say Uber and Lyft likely will come next. Last Wednesday, Steger met with Councilman Mike Fagan and several legislative aides. The meeting was just an introduction, but already there's an underlying question: Do Spokane's existing "for-hire vehicle" rules apply to rideshare companies, or does it need to write new ones? 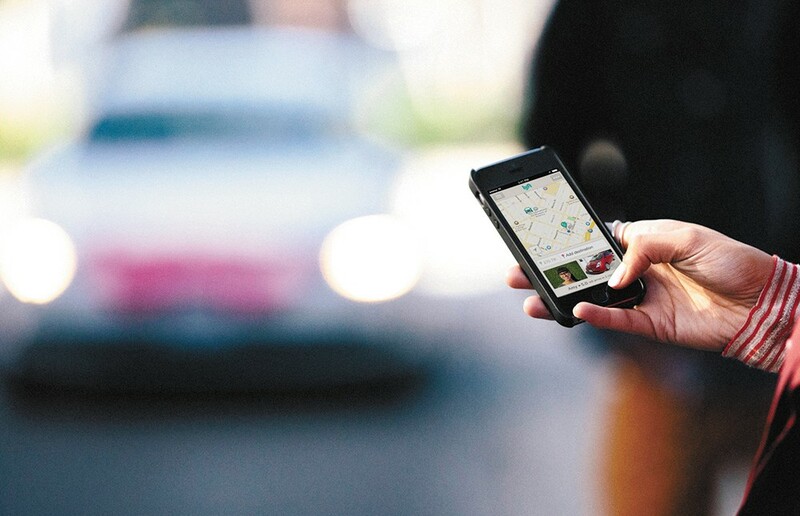 Lyft and Uber argue their model is fundamentally different from a taxi company's. Drivers use their own personal vehicles, there's no set schedule, no running meters, and passengers prearrange rides through apps. "This unique model does not easily fall under existing regulations," says Lyft spokeswoman Paige Thelen. "We do not believe that Lyft drivers violate any current city law." The City of Spokane legal department has examined the issue, but is waiting for guidance from the administration and city council. Uber and Lyft representatives say they already have extensive liability insurance, run background and driving record checks on new drivers, and require vehicle inspections. While both companies say they're willing to work with regulators, neither approached city officials before rolling into town. "It's much easier for someone to understand the service when they've actually used it," Steger explains. Fagan proudly considers himself a free-market conservative, but in this case he sees a role for the city. "It is the government's place to regulate — as much as I hate to say it — to provide a level playing field," Fagan says. Different councilmembers define "level playing field" in different ways. Council President Ben Stuckart says Lyft and Uber should be regulated just like taxis, but Councilman Steve Salvatori argues for using a "light-touch model" to regulate casual Uber and Lyft drivers, instead of the "heavy-touch model" currently used for professional taxi companies. If current regulations are too burdensome for taxi drivers, Steger suggests, the city should review them.